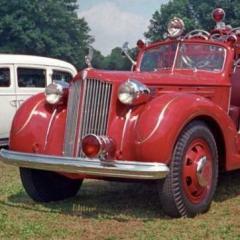 I've noticed several listings of very interesting subjects, like a Studebaker Hawk and pickup, an Edsel wagon, some truck cabs, etc. from 2007frontier on eBay. Anybody have any firsthand experience with him? How's the quality? The back window area on the Edsel station wagon doesn't look right: it should wrap around at the ends just as the Revell Ford wagon's does. Jimmy Flintstone offers a two-door Edsel wagon body that looked better to me, he might have a four-door also. Based on the thread Casey posted, I'll pass on all of it. I've 'bout had my lifetime fill of correcting other people's work. I've bought several items from Curtis and while sometimes a little clunky in most cases it's all we have for certain subjects. Some that I want bad enough to go the extra to make it work. IIRC, that kit depicts an Amblewagon ambulance with a modified opening for a rear door that opens to the side. Mark, there is one small part in the pic of that Edsel wagon--a Federal Sirenlite! 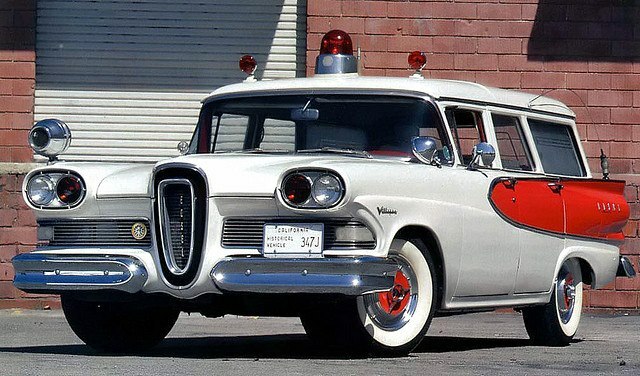 What the guy has replicated is the uber-rare '58 Edsel Ambulwagon, which was a factory-built ambulance version--those did have an upper tailgate section that differed from the Bermuda. I'd be careful of any resin casters who don't show the entire model. Example: That 1958 Edsel Villager wagon looks good, but the back end is 100% completely phony - unless you want to build an Amblewagon. Since he could have used any 57-58 Ford lift gate, you have to wonder why was he so lazy he couldn't do better than a quick slap-job on it? Notice, also, he didn't bother adding the fender scripts, door handles, etc. Easy to have added, but a PITA to go out and buy expensive kits just to get those parts! 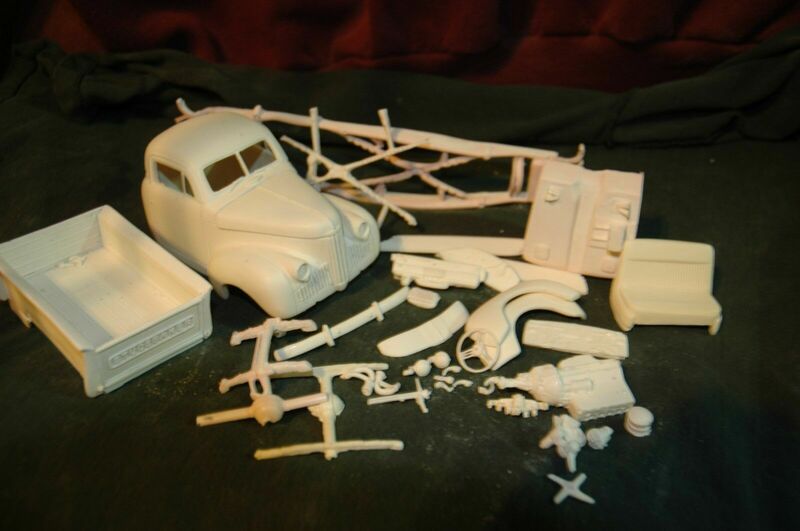 I see way too much of this expensive cost-cutting with way too many resin models. Another half-baked effort is the 52-53-54 Ford Country Squire body someone is selling. It, too, is missing every single detail that wouldn't have taken a half hour to include, but now cost a fortune to obtain. With Hobby Lobby one of the few retailers left, and charging $40 for a $15 kit, these greedy mistakes can cost the builder a ton. And if you have to redesign something - like the back end of the Squire that was never finished properly to begin with - it can dampen one's enthusiasm pretty quickly.